All of our floor plans are ready to be customized to your lifestyle as well as any special needs. 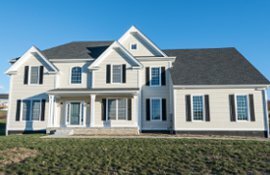 The point behind new custom home construction is to create a home that is unique to your needs and lifestyle and at By Carrier we want to include new homeowners in the design process to turn their ideas into realities. 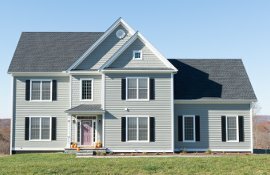 Finding new homes for sale in East Lyme that meet all your specifications is not easy since existing homes were not built with you and your family in mind. 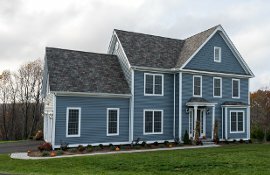 Settling for less is not the way you want to live and with new custom homes from By Carrier you can ensure that the floor plan of your home meets the requirements you’ve selected for you and your family. We pride ourselves on making each semi-custom house a home for you and your loved ones. Each floor plan acts as the starting point for our design and building process. Once you’ve selected the custom floor plan you want then it’s a matter of adding features that will make the home truly your own. Take a look and call us for a private consultation and let us build the home of your dreams. 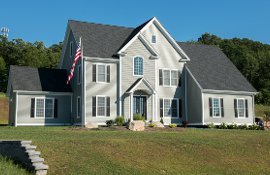 Situated on 240 scenic acres, The Orchards is East Lyme’s finest subdivision. It features an elegant clubhouse, tennis courts, and miles of serene walking trails. 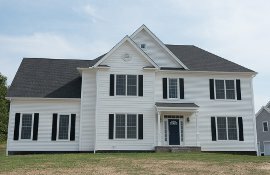 Whether you desire single floor living, or a two story design, we will custom build to your lifestyle. Our quality low maintenance homes allow you the time to relax at the clubhouse and enjoy the views of Long Island Sound. 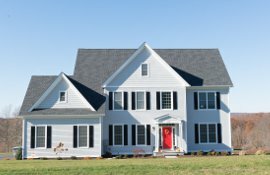 Finding new homes for sale in East Lyme that meet all your lifestyle needs can be difficult since existing homes don’t factor in your requirements. 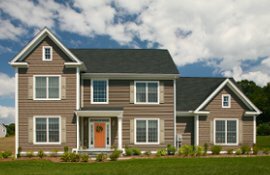 With new home construction from By Carrier you get the benefit of a custom home designed to your specifications that will feature energy efficient floor plans, extensive interior and exterior custom woodworking and top brand name appliances. Conveniently located just minutes from I-95, East Lyme offers beautiful beaches, fine dining, quaint shops, golf, and a wide variety of recreational and cultural activities. The East Lyme Schools are among the state’s best. It is a short drive to Mystic Seaport and Aquarium, as well as Foxwoods and Mohegan Casinos. East Lyme is truly New England shoreline living at its best. 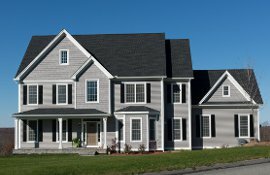 Buying your new custom home in East Lyme gives you access to the thriving Connecticut shoreline while also enjoying the valued privacy of a planned community. 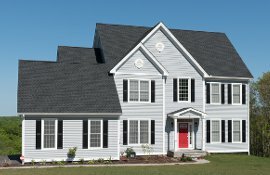 The Orchards has “ready to move in” homes, or we will make your home building experience an exciting and hassle-free adventure. 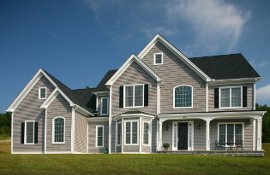 Our commitment to excellence, quality building, and personal service are key factors that distinguish By Carrier homes. Our worry-free 5 Year Warranty and Energy Smart Homes are a reflection of our high standards. Visit the Orchards, and discover the By Carrier Advantage.